LendingQB, a provider of SaaS loan origination technology solutions, today announced a new partnership with Blend, the Silicon Valley technology company propelling consumer lending into the digital age. 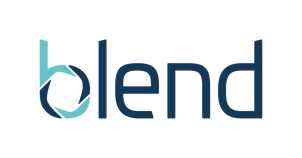 Through this partnership, Blend’s technology platform will integrate with LendingQB’s Web-based loan origination system (LOS), enabling lenders that work with LendingQB to easily deploy a digital mortgage experience for borrowers and loan officers. The Blend platform offers the flexibility for lenders of all shapes and sizes to take advantage of the latest technology and best-of-breed user experience. Coupled with LendingQB’s innovative solution, implementation of both tools is faster and easier than before.